One of the key components of the PRPDC is outreach to the community. For instance, on October 20th and 2st, 2017, we participated in the SOEST Open House. This event had >6,000 attendees, including many school groups. Here we see just foure of the ativities which were the focus of our participation in this event. 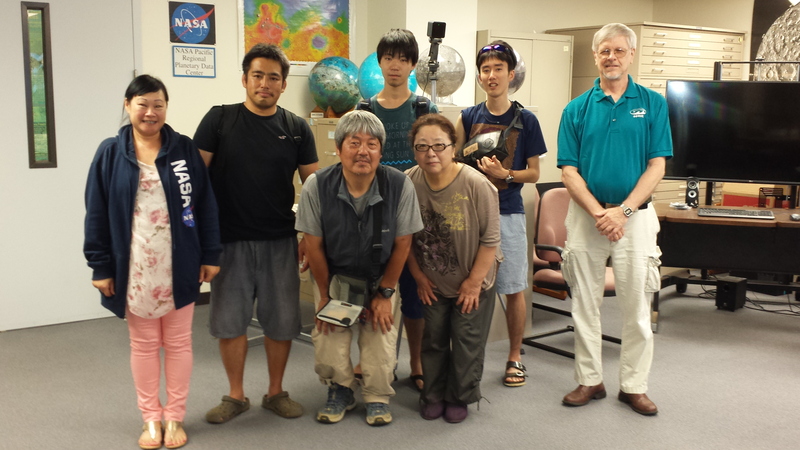 On August 1st and 2nd, PRPDC Director Pete Mouginis-Mark travelled to the Big Island to participate in an LROC Science Team meeting. 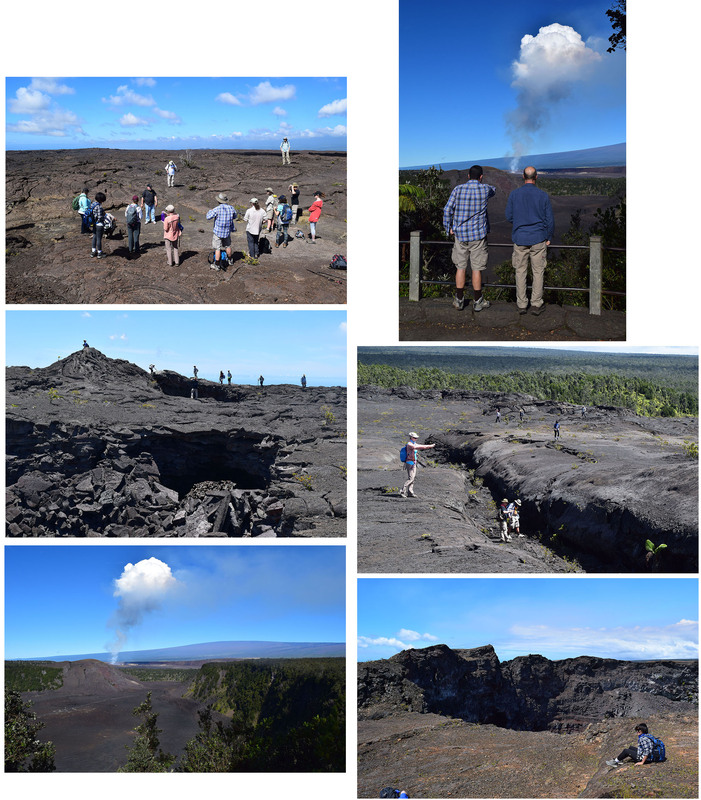 Part of the focus of this meeting was to explore the geology of Kilauea volcano, and to look at some planetary analogs. Here are some views from the field. 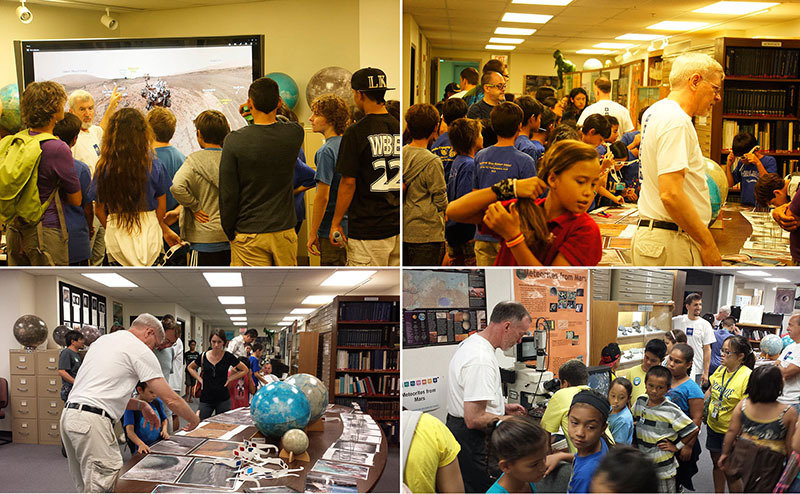 On May 19th, we hosted two groups of 15 students each from Kapiolani Community College. Drs. Jeff Taylor and Heather Kaluna gave brief presentations on the planetary research being conducted by researchers on our campus. 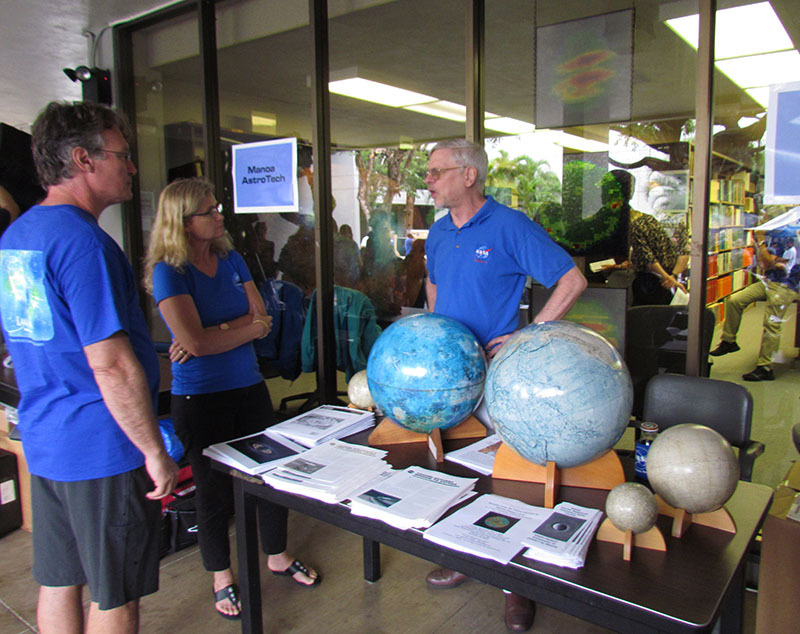 On April 23rd, 2017, Data Manger Chris Peterson represented the PRPDC at the annual Open House of the Institute for Astronomy of the University of Hawaii at Manoa. 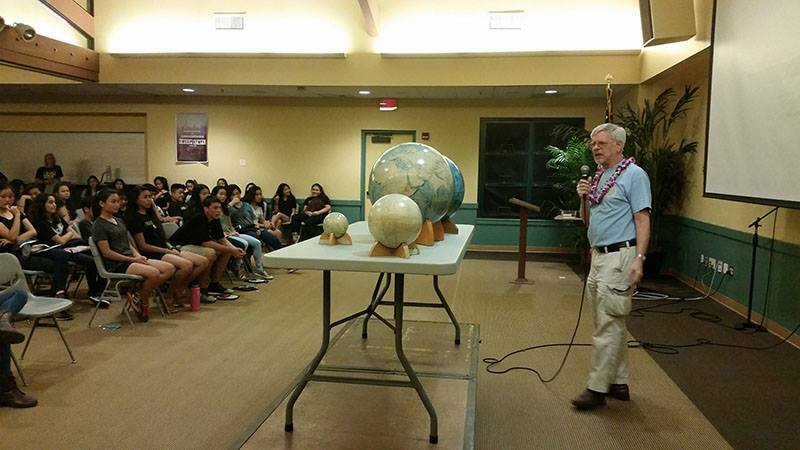 Dr. Peterson displayed NASA-provided same-scale globes of the terrestrial planets, discussed the size and distance scale of the solar system, and answered questions from attendees. On January 28th, 2017, Data Manager Chris Peterson represented the PRPDC at the Battleship Missouri Living History Data on Ford Island in Pearl Harbor. 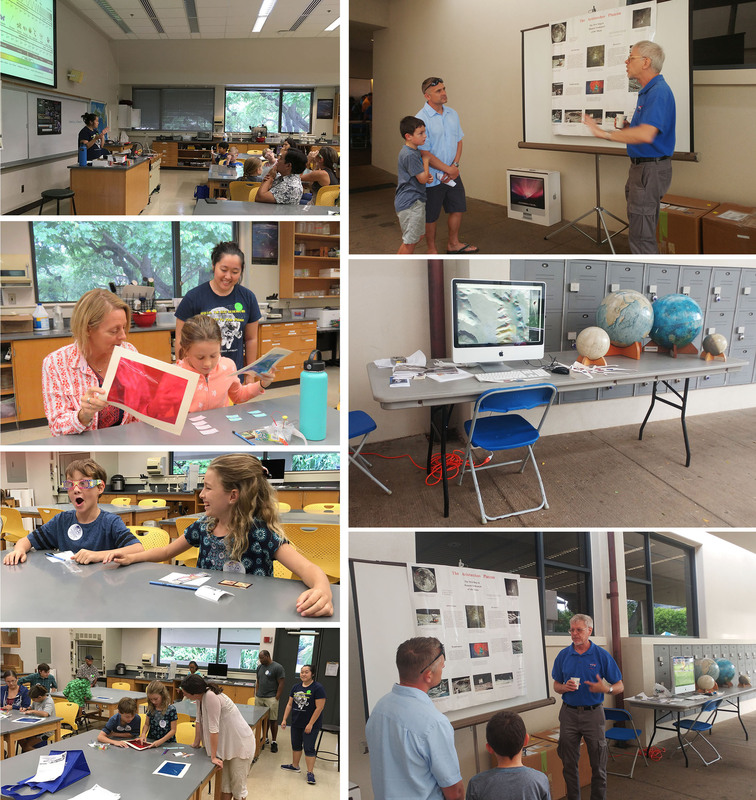 Dr. Peterson displayed same-scale globes of the terrestrial planets and discussed the size and distance scale of the solar system with over 100 visitors to the display. He also showed 3-D anaglyphs of the surface of Mars and the Moon. Data Manager Chris Peterson provided views through his telescope of the Super Moon to visitors at Bishop Museum on November 13th, 2016. He discussed the geologic history of the Moon and also provided views of Venus, Saturn, and Mars. (Our shot of the Moon was actually taken with a regular camera using a 300 mm lens! Notice the weird orientation of the Moon which we have here in the Tropics). 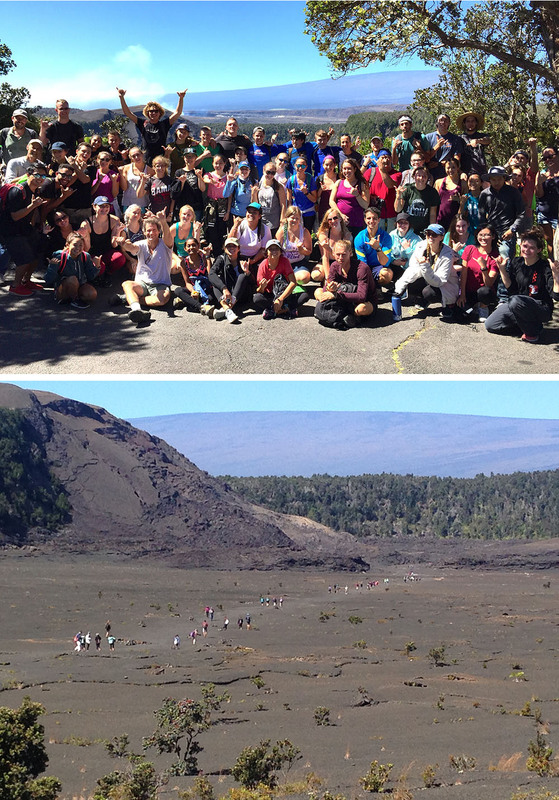 On November 4th - 6th, Pete Mouginis-Mark helped run a field trip to Kilauea volcano on the Big Island for 60 undergraduate students. He used images of the Moon, Mars and Venus to illustrate the value of planetary analogs for understanding volcanism on Earth. On August 16th, 2016, we had a visit from Meiji University (Japan) students and some Japanese high school teachers. On July 25th, 2016, Data Center Manager Chris Peterson welcomed eight students and three adults to the PRPDC. Chris discussed the size and distance relationship of bodies in the Solar System and showed 3-D images of Mars from the NASA rovers, using the new 3-D monitors in the PRPDC. 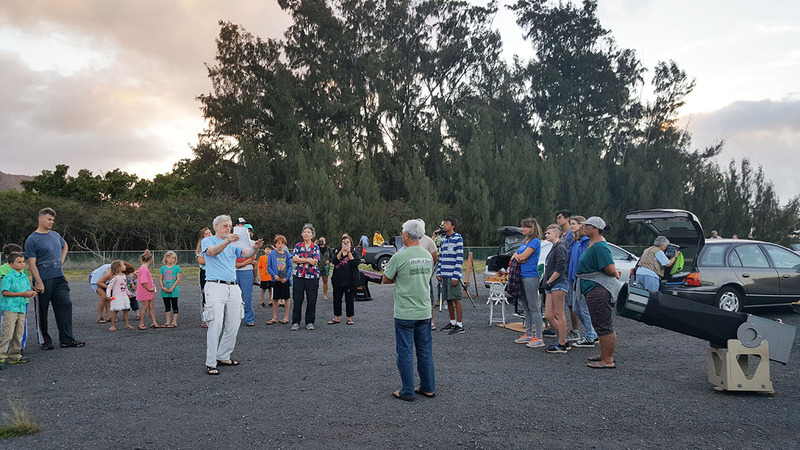 On June 25th, 2016, PRPDC Data Manager Chris Peterson welcomed about 30 visitors and 10 club members to the monthly HAS public "Star Party" at Dillingham Airfield on Oahu's north shore. The excellent seeing allowed good views of the Cassini division in Saturn's rings, Syrtis Major on Mars, and Jupiter's Great Red Spot as well as other celestial sights. 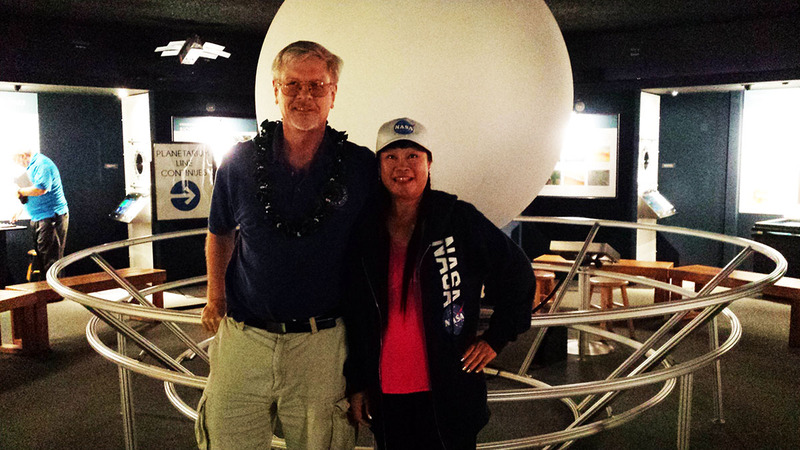 On June 7th, 2016, PRPDC Data Manager Chris Peterson and Data Center Assistant Polly Zi Hong Miao visited the Bishop Museum and gave a talk on the Juno mission to Jupiter. This was also one of our regular "Star Party" nights, and several new people joined the regulars for this popular monthly event. 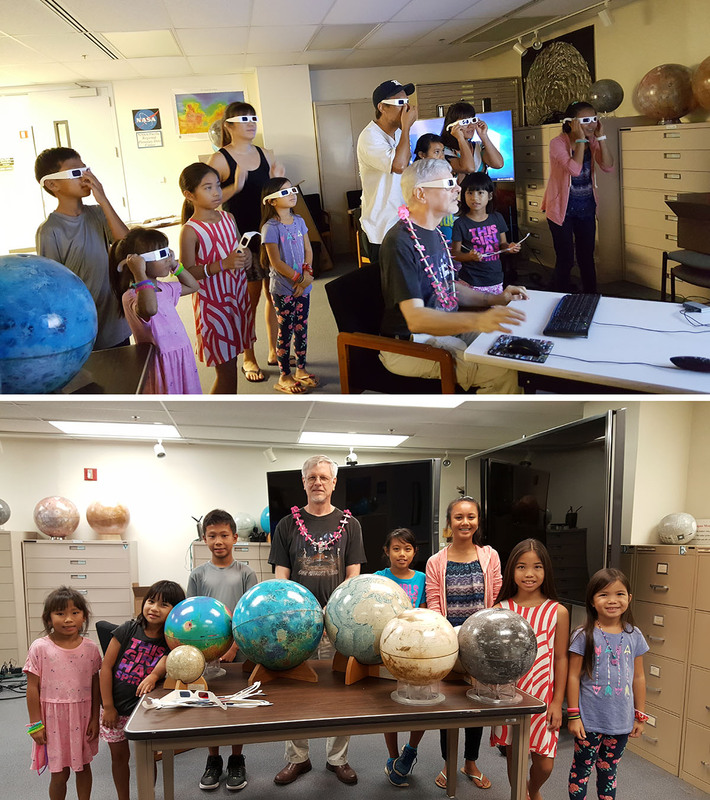 On Mays 6th, Data Manager Chris Peterson joined other members of the Hawaiian Astronomical Society for a "star party" attended by about 100 eighth-graders at Hawaii Baptist Academy in Honolulu. Dr. Peterson used same-scale terrestrial planet globes provided by NASA to illustrate and discuss size and distance scales in our solar system. 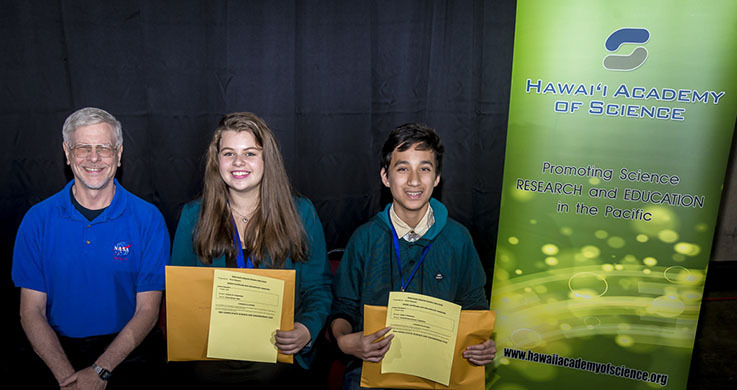 PRPDC Data Manager Dr. Chris Peterson was a judge at the 59th Hawaii State Science Fair in March, 2016. The PRPDC awarded Celeste Jongeneelen and Elijah Mossman certificates and a collection of educational material for their projects. Celeste, a homeschooler from the island of Maui, presented Runaway Stars: Looking for Variability in Hypervelocity Star Candidates. Elijah, a student at Kamehameha School on Oahu, presented Searching for Signs of Dark Matter Annihilation. Both are 10th graders. 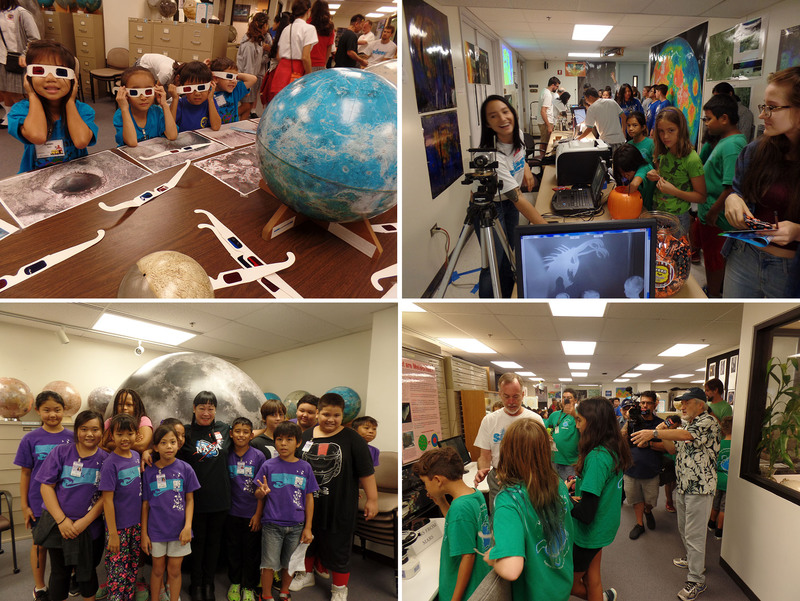 University of Hawaii's Institute for Astronomy (IfA) Open House was held on April 17th. About 900 people attended despite sometimes heavy rain. 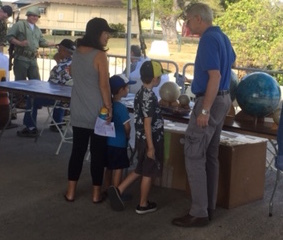 Pacific Regional Planetary Data Center (PRPDC), Dr. Chris Peterson, discussed the size and distance scale of our solar system with visitors using same-scale terrestrial planet globes provided by NASA. He also distributed U.S.G.S. maps, presented Cassini mission updates, and provided information about the PRPDC and upcoming activities of the Center. We hosted a group of 8th-grade students from Highlands Intermediate School on April 1st, 2016. Here we see Chris Peterson talking about the Solar System, and the distances between the planets. Every year, there is a big planetary research conference in Houston, Texas. 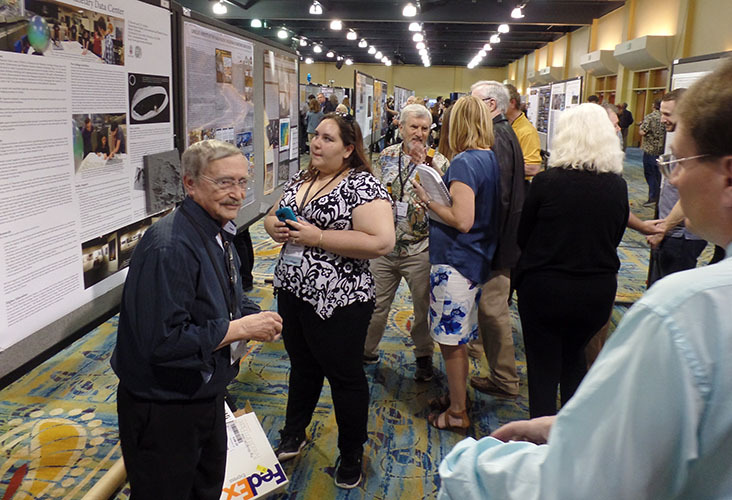 At the 47th Lunar and Planetary Science Conference, March 2016, the PRPDC helped with the National RPIF Network booth, as well as presented a poster presentation. The PRPDC also had a very successful Open House in October 2015. As part of the bigger SOEST Open House, we attracted ~2,000 people to our facility. As the below images show, we were able to demonstrate our new large-scale computer monitors, use NASA resources to show the planets in 3-D, and talk about many aspects of Solar System exploration, including the analysis of meteorites.